conducted research analyzing detailed legal briefs connected to "morality politics"
"Don't come to Miami with a rigid checklist. Come with a concept of what you want and always take the initiative to make things happen. Whatever you want to get out of your college experience, you can accomplish it." "Among all the universities that I toured while in high school, one thing that really stuck out to me about Miami was its community. Miami is a great school with lots of strong academics and a beautiful campus, but I've never met a Miami grad who has said anything but positive things about their time here — the people they met, the things they did. 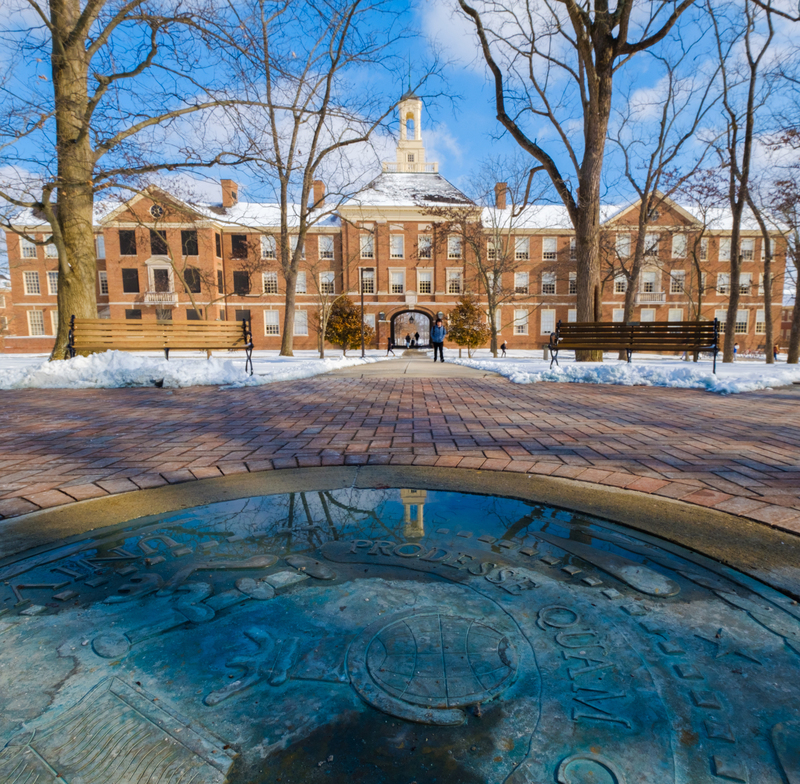 Miami really fosters a strong sense of pride and community, and I felt that immediately as a prospective student. "Like any freshman, you need to find your sea legs at first. I had a great time my first year and experimented with different classes and fields. I came in undecided about my major, initially gravitating towards biology and wavering between medical school and law school. However, in the end I just couldn't make myself interested enough in biology to continue with it. "Ultimately, with the help of advisors who encouraged me to follow my interests, I found myself caught between psychology and political science. Both had come very highly recommended, and I couldn't decide one over the other, so I ended up taking both!" Ryan Geary in Washington, D.C.
"Assistant professor of psychology Vrinda Kalia was my first psychology professor, and she's the person who turned me on to its exciting possibilities and depth — there is so much that can be done with the field. Meanwhile, assistant professor of political science Abigail Matthews, who I had for a constitutional law course during my junior year, really sparked my interest in the minutia of law and the U.S. Constitution. On top of that, I was already on the pre-law track and excited about moving on to law school and becoming a lawyer. "My psychology and political science majors, especially taken as a whole, have really broadened my intellectual and academic horizons. They've improved the quality of my coursework as well as my writing, thinking, and interactive skills. I feel I've become a much more well-rounded student, and when I move on to law school I feel ready to tackle any path — criminal, public, civic, immigration law. There's a lot there. "Another great experience was my participation in the Ohio Public Leaders fellowship program, sponsored by the Center for Public Management and Regional Affairs. This fellowship pairs students for several weeks with Miami alumni who occupy key positions in state and local government. I had the opportunity to work in the Springfield Township administrative office and view firsthand Springfield's daily function and challenges." "At a university like Miami with its strong liberal arts program, you can follow disparate fields, such as psychology, political science, and Spanish, and make them your own, make them work for you. It's great to follow whatever interests you under the umbrella of a very well-rounded educational experience. "Besides the overall subject matter, one thing that I love about psychology and political science in particular is that both majors encourage in-depth critical thought. We focus on profound, ever-evolving problems and circumstances facing society. I'm interested in psychological disorders, particularly in children, and political science is a way for me to explore their impact on law and society. 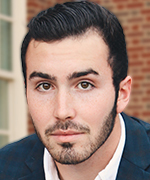 Both of these majors have proven very interesting and informative, helped me shape my goal to attend law school." "In fall 2017, I took a constitutional law course with Dr. Matthews, and we formed a good student-teacher bond. The following semester she reached out to me to work on a research project that she was collaborating on with assistant professor of political science Rachel Blum. Their project involved legal cases surrounding so-called morality politics — state and federal cases on controversial topics like abortion and gay marriage in the United States. Professors Matthews and Blum were examining Amicus Curiae briefs that attempted to establish a connection between the outcomes of all these disparate cases. "Amicus Curiae is a Latin legal term meaning 'friend of the court.' Amicus Curiae briefs can be written by any individual or outside organization seeking to influence or sway a judge's opinion in a particular case. They are often written with strong points that may not have been considered in the courtroom. We looked at briefs written for hundreds of resolved cases, and they can get pretty lengthy. We wanted to determine whether the organizations who wrote them were biased towards one side or the other. 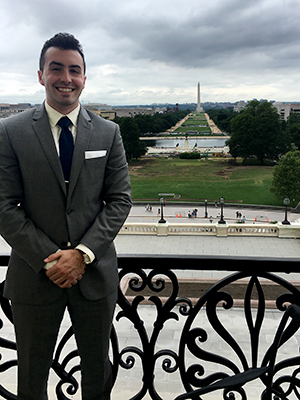 "This research experience played a role in two other key activities I've had at Miami: becoming an Ohio Public Leaders fellow during J-Term 2019 and joining the Inside Washington program in DC last summer. Ryan Geary interned with U.S. Congressman Alcee Hastings. "I was one of 12 Miami students who visited DC last summer for Inside Washington, and it was by far one of the best experiences I've had at Miami. The internship truly helped each and every one of us to develop professionally. 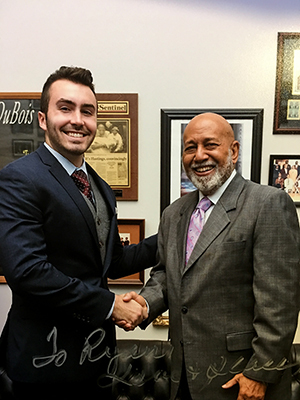 I interned in the office of Congressman Alcee Hastings, a Democrat from Florida's 20th congressional district. "I helped perform policy research for bills that the congressman was either sponsoring or co-sponsoring, basically creating a more well-informed picture for his staffers. I also helped draft and write press releases released by his office and occasionally got the chance to look over pieces of legislation that were being considered. Also, at my leisure I was able go watch the U.S. Congress in session from the staff gallery and witness history unfold. All of this has helped me further realize my career goals and political aspirations. "My Ohio Public Leaders fellowship saw me working in the Springfield Township administrative office under township administrator Chris Gilbert (Miami, 2000). The experience, which juxtaposed quite well with Inside Washington, exposed me firsthand to the intricacies and challenges faced by local governments. I was able to work directly within the system, however briefly, allowing me to affect positive change. On an average day, I might have found myself in a budget meeting with the Township Board of Trustees, in court on behalf of the township, or even on a call with members of the fire department. "These two experiences taken together provided me with a well-rounded and informed perspective of federalism and the unique challenges faced by different levels of government, and they have thoroughly prepared me for a career in law and government. They have also allowed me to further hone my ideological sense, as well as give me a better idea of where I want to go with my law career. Now, as a graduating senior, I've grown much more excited and prepared for whatever the future should hold — and I see myself living and working in Washington someday!" "Follow what interests you. Law, psychology, and politics are all incredibly wide fields that you can approach from many different angles.